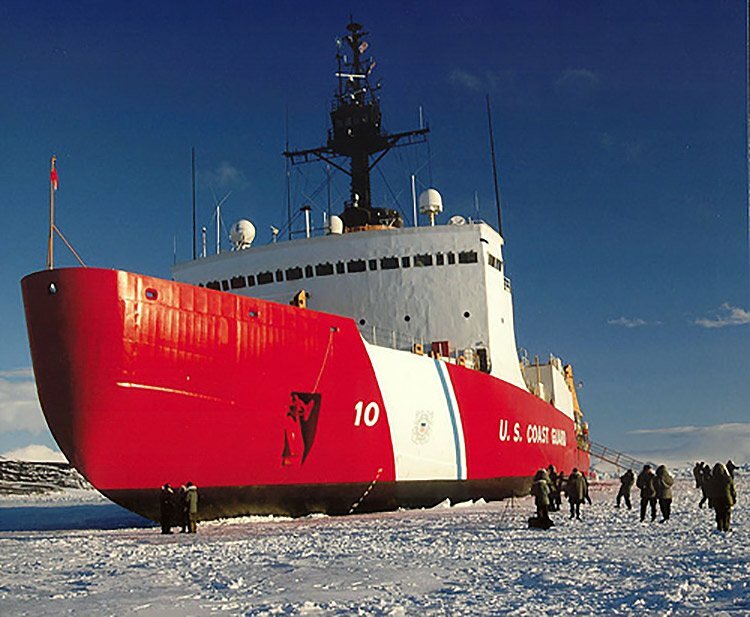 JMS was awarded a contract to review and provide technical service support to the National Science Foundation (NSF) and U.S. Coast Guard (USCG) Annual Program Plan for the U.S. polar icebreaking fleet. 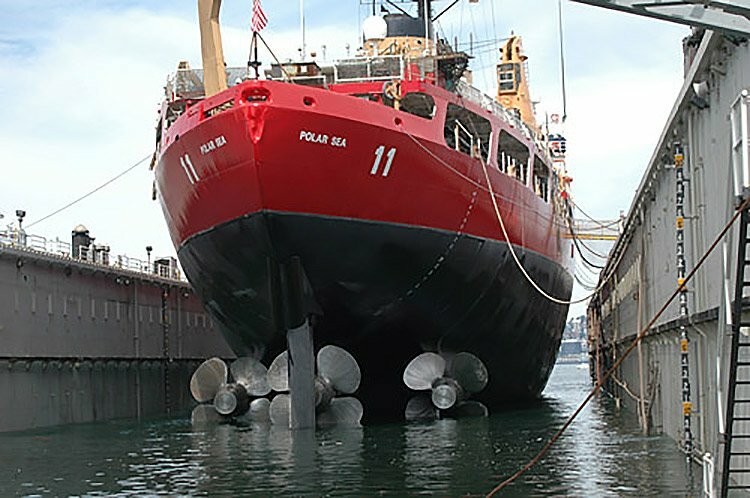 In 2006, the $70 million USCG budget for the polar icebreaking fleet was transferred to the NSF by executive order. The fleet consists of three vessels: Polar Star, Polar Sea and Healy. Under this contract, JMS evaluated and made recommendations to the proposed Intermediate and Depot Maintenance plans and budgets. Recommendations indicate whether they are relevant to achieving short- or long-term availability or both. JMS conducted a series of ship surveys in Seattle and interviews with US Coast Guard engineers in Oakland, Baltimore and Washington DC to determine recommendations that identify primarily what is needed to keep the ships safe and in an operating status throughout the vessels’ remaining planned life cycle. JMS is advising NSF and the USCG on reasonableness and necessity of planned maintenance using established USCG naval engineering business rules and maintenance procedures. The maintenance objective is to preserve the inherent design levels of reliability, performance and safety with respect to cost practicality, system down-time, manpower, tools and materials. JMS is also advising NSF and the USCG on areas that require investment beyond the current budgets to insure operational reliability and safety and also where savings and efficiencies may be gained. JMS will also consider how any recommended changes to the planned maintenance or proposed budget may impact safety and/or the ability to meet environmental and operational requirements. The United States has enduring national and strategic interests in the Arctic and Antarctic and the importance of these regions is growing. In the north, the United States has territory and citizens above the Arctic Circle. In the south, the U.S. maintains three year-round scientific stations to assert U.S. presence and assure U.S. leadership among the nations that are signatories to the Antarctic Treaty. To achieve national purposes in both polar regions, the nation needs to be able to access various sites throughout these regions at certain times of the year, reliably and at will. Assured access to the polar region requires polar icebreaking ships capable of operating in a variety of challenging ice conditions. Over the past several decades, the U.S. supported its polar interests with a fleet of four icebreakers. The current fleet includes three multi-mission ships that support USCG missions as well as science and one single-mission ship operated by the NSF that is solely dedicated to scientific research. The Polar Star is currently in “caretaker” status and is expected to remain so for the foreseeable future. The Polar Sea is currently operational, and is expected to remain so for the foreseeable future. The Healy is currently operational, and is expected to continue to support Arctic operations through 2030 and possibly beyond. Polar Sea’s three shafts are turned by either a diesel-electric or gas turbine power plant. Each shaft is connected to a 16-foot (4.9-meter) diameter, four-bladed, controllable-pitch propeller. The diesel-electric plant can produce 18,000 shaft horsepower (13,425 kilowatts) and the gas turbine plant a total of 75,000 shaft horsepower (56 MW). With a sturdy hull and high power to back it up, the 13,000-ton Polar Sea is able to ram her way through ice up to 21 feet thick and steam continuously through six feet of ice at three knots. Polar Sea holds three notable records. It is one of only three ships that has ever completely transited the Arctic Ocean and circumnavigated North America. She was also one of only two North American surface vessels to reach the North Pole. USCGC Healy is a research icebreaker put into commission in 1999. Designed to conduct a wide range of research activities, Healy provides more than 4,200 square feet (390 m²) of scientific laboratory space, numerous electronic sensor systems, oceanographic winches, and accommodations for up to 50 scientists. Healy is also designed to break 4.5 feet of ice continuously at three knots and can operate in temperatures as low as -50 °F (-45 °C).